Beware! TradeCMX is an offshore broker! Your investment may be at risk. TradeCMX is a unregulated, offshore broker that offers several account types with leverage of up to 500:1 on the MetaTrder4 platform. 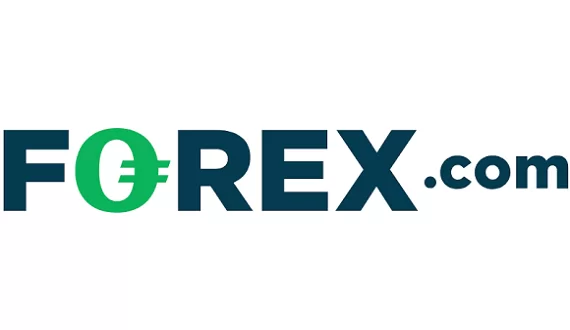 Their offer includes over 60 forex pairs, with exotic currencies like Danish Krone, Polish Zloty, Singapore Dollar, Czech Krona, Hungarian Forint, Mexican Peso, Norwegian Krona, Russian Ruble, Swedish Krona, Turkish Lira, South African Rand, Chinese Yuan and Israeli Shekel plus CFDs on 16 indices, silver, gold, oil, stocks and commodities like cocoa, coffee, corn, cotton, copper, soybean, sugar and wheat. Spreads with the CMX Standard account are advertised to start at 2 pips, which is at least half a pip higher than what traders usually expect with a standard account. Still, trading conditions put aside, the main issue with the broker is its regulatory status, so if you are about to open a trading account with them be sure to read this review first. TradeCMX is owned and operated by TradeCMX (SV) Ltd – an offshore company based in St. Vincent & the Grenadines. However, neither the broker, nor the company is regulated and that means TradeCMX can not legally provide services on regulated markets like the European Union, the USA, Australia, Canada or Japan. Have in mind as well that the safety of your funds with unregulated brokers depends solely on the integrity of the people, who run them. Unfortunately, quite often such broker are run by scammers and the risks for investors are unreasonably high. Trading with properly licensed brokers on the other hand is safe, because a license issued by the Australian Securities and Investments Commission (ASIC), the Financial Conduct Authority (FCA) in the UK or the Cyprus Securities and Exchange Commission (CySEC) for example means that the broker will be strictly supervised and will have to follow strict financial and ethical rules. Licensed brokers have to file regular reports, to allow external audits, to keep all clients funds in a segregated account, to provide clients with a negative balance protection, to maintain at all times a certain minimum operational capital, and in some markets even to insure traders funds. Brokers, regulated in the EU for example should participate in client compensation schemes, under which traders’ funds are insured for at least 20 000 EUR. Such is the insurance with all CySEC regulated brokers, while with FCA regulated brokers the insured amount is up to 50 000 GBP. 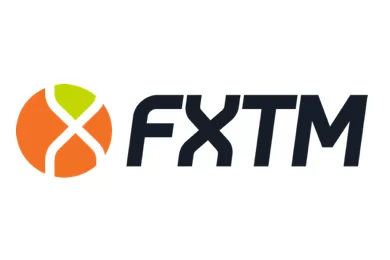 TradeCMX accepts payments with major credit cards like VISA, MasterCard and UnionPay, which is quite popular in China, e-wallets like Neteller, Skrill and Fasapay, bank wire and even Bitcoins. The minimum deposit requirement, however is at least four times higher than what most brokers would ask for a trading account – 1000 USD. Be aware as well that any trading bonus, that the broker may offer you will come with a certain minimum trade volume requirement, linked to your right to withdraw. Scammers are pretty well organized and employ a lot of resources in the attempt to steal your money. They use call centers, usually stationed in the Philippines or Eastern Europe and the so called robo scam websites like Crypto Revolt and Bitcoin Evolution, which are especially designed to hook up gullible investors. Basically, if you come across such a site, you will probably be greeted with a nicely cut video add with a promise of fast and easy returns, with a minimum investment, and no risk at all. And actually all you will be asked in the beginning will be to fill a simple registration form, leaving your e-mail and phone. Besides, your first trades will be rather successful and soon the money in your account will nearly double. That, however will not be real, but just a part of the scam. Scammers will certainly want you to make another deposit, and if you believe your trade is so successful you will be more easily convinced to do that. About the same time you will get a phone call as well – it will be your senior account manager, who will professionally explain, that if you want to make some serious cash you will definitely have to invest more – at least 10 000 USD or so. And you may never realize you have been scammed until the very moment you decide to withdraw some of your funds. Than all of a sudden it will turn out you can not, because of some minimum trade volume requirement, linked to the welcoming bonus you have so carelessly accepted in the beginning. The pretext, of course might be different, but in the end it will all come to the same – your withdraw request will be refused. Probably the only chance you have to get the money you have deposited back is to file for a charge back with your credit card company. And the good news here is that recently both VISA and MasterCard extended the period, in which you will be allowed to do that to 540 days. Be ware as well that sometimes scammers may try to trick you into telling them your banking details like credit card number or online banking password. If by any chance you have given away your banking details, immediately change your online banking password and cancel your credit card. And finally do not accept the offers of the so called recovery agencies. They will not help you get your money back, but will simply collect some cash in advance and basically you will be scammed a second time.